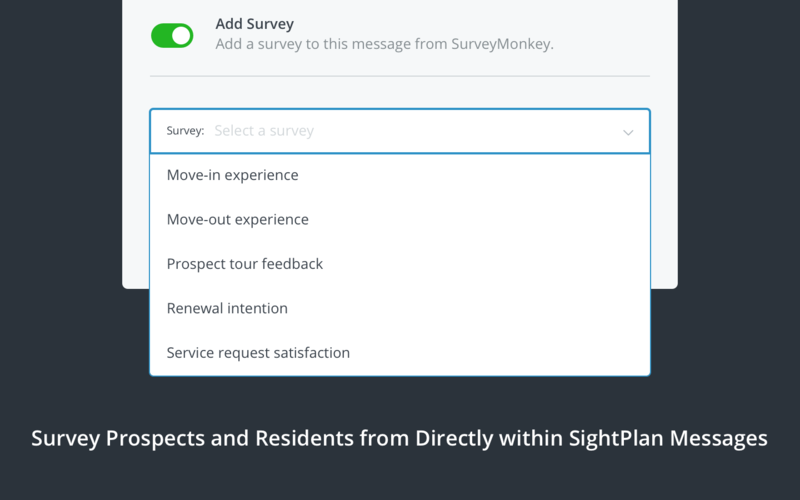 Poll the opinion of your prospects and residents by sending SurveyMonkey surveys directly through SightPlan messages. 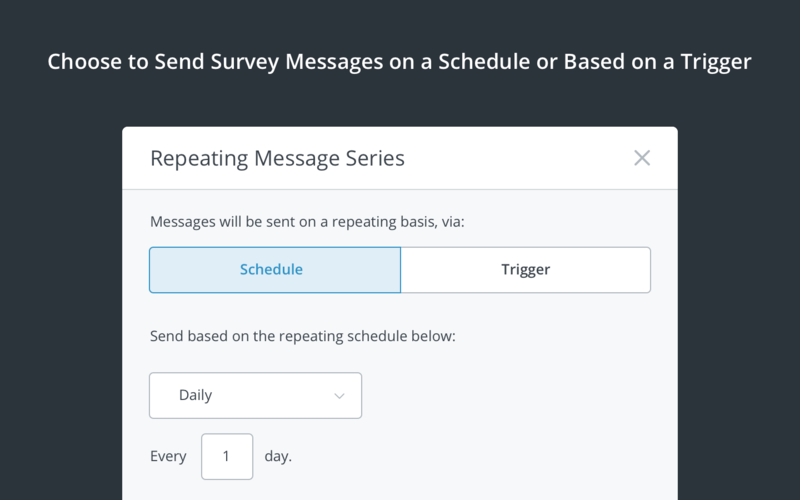 Distribute surveys based on schedules or triggers that represent touch-points in the resident lifecycle. 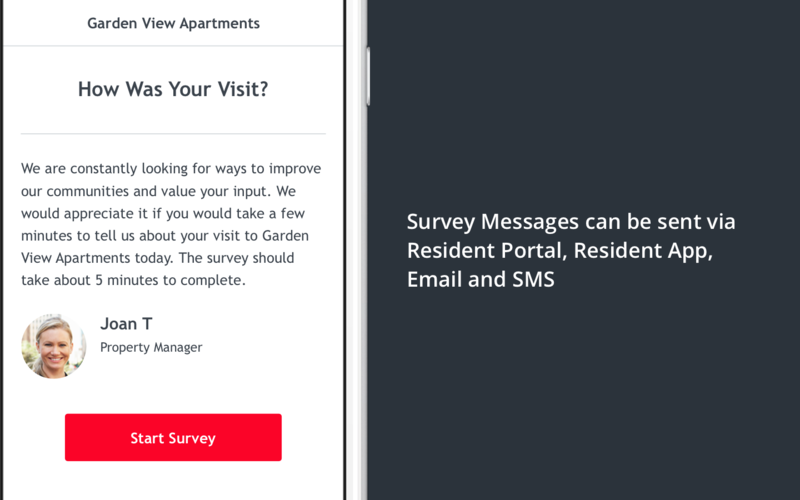 Survey links can be sent via Resident Portal, Resident App, Email and SMS. To get started, click Install at the top of this page. Then, authorize SightPlan to link with your SurveyMonkey account by contacting help@sightplan.com.